The brilliant branding move of Angry Birds. Actions sure do speak louder than words. And Teija Vesterbacka just proved it. To all of these stinky-at-the-party journalists and bloggers, I say: Damn, she sure got YOU. Here you are wishing to shine the spotlight on what you consider to be her poor taste and yet…you’re shining the spotlight on her. 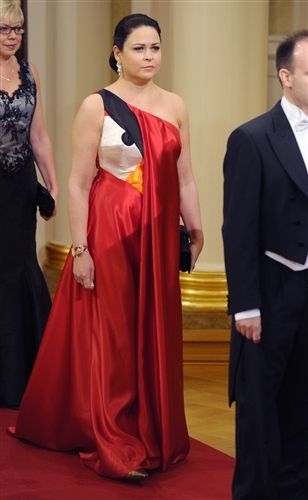 Do you honestly think she wore this gown because she thought it was high fashion couture or is trying to start a trend? And had she worn a “normal” gown, would you have run her photo or written a single word about her attendance that night? Doubt it. So, basically…you played right into her hands, and I’m sure it’s no coincidence that her husband is the chief marketing officer. My little branding-and-PR-oriented heart is giving her a huge hug right now. And yet, if she had merely said all of this…who would have cared? And who would have believed her? Instead, she wore the dress and she didn’t have to say a word to get her point across. Brilliant. That she’s sporting a serious face…not grinning constantly like a mischievous idiot…only increases my respect for her in the branding department. Brava, Teija. The branding enthusiasts of Redpoint think you’re the cat’s meow. Can’t wait to see what you wear to the company picnic. Check out this earlier post to see how our friends at the Alamo Drafthouse movie theater showcase THEIR brand integrity when people talk or text during a movie. Sometimes, good branding makes us crack up. Cyber Monday 2011 proves: brand it, and they will come. Black Friday, Cyber Monday, and now Small Business Saturday. 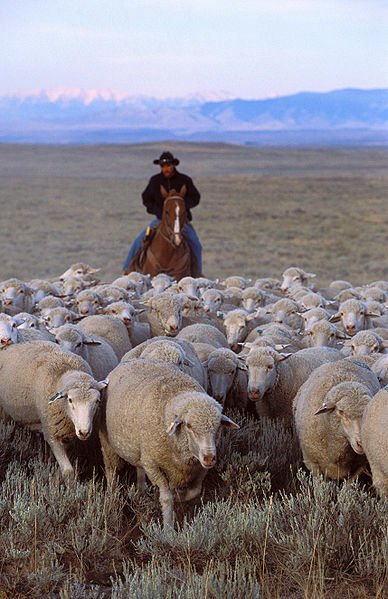 Can you say "baaa baaa?" Ever heard of Small Business Saturday? No? Don’t worry. Within the next two years, not only will you know about it, but you will feel magnetically drawn to shop at small, independent retailers on the Saturday after U.S. Thanksgiving. This past November 26th was only the 2nd Annual occurence of this made-up-by-retailers holiday (in this case, American Express), and yet, its Facebook page already has nearly 3 million “Likes.” Impressive, considering that’s the equivalent of the entire population of Rhode Island, New Hampshire, and Vermont. Watching the evolution of retail consumer behavior patterns tied to the U.S. Thanksgiving weekend is a fascinating lesson in branding and the combined power of internet-and-the-media. The term “Black Friday” first officially emerged as a moniker for the Friday-after-Thanksgiving shopping frenzy in the 1960’s, but it wasn’t until the late 1990’s that it gained widespread consumer awareness and participation. And in fact, it wasn’t until 2002 that it became the season’s biggest shopping day each year, as confirmed by market research firm ShopperTrak. That’s nearly 40 years from launch to goal line. In stark contrast: Cyber Monday was launched in 2005 by a group called Shop.org as a way to boost online sales and encourage tech-shy consumers to become more comfortable with online spending. (Note: those were “prehistoric times”…high-speed internet was more readily available at businesses than residences…hence, the Monday strategy). By 2006, online spend-tracking firm comScore Inc. reported Cyber Monday as the 12th biggest online spending day of the year. Care to guess when it scored the top spot? 2010. Just five years from launch to goal line. This acceleration of consumer acquiescence bodes well for Small Business Saturday. It is worth noting that Black Friday didn’t have the power of the internet at its inception, and Cyber Monday (while it obviously had the internet) didn’t have the power of social media or “apps” at ITS inception. But Small Business Saturday has all of these lightening-speed marketing tools in its debut arsenal, and with that, I give you…nearly 3 million Facebook fans and counting in just its second year. Harness the internet to spread the word: post it on calendars, optimize search terms, get partners to extend your email/website/social media audience, do some strategic online advertising, blog about it, send press releases to online media, and more. What used to take decades to gain traction now can take mere months, or even weeks, and with far fewer marketing dollars than ever before. Ride the coat tails of this massive Thanksgiving weekend shopping power: do you have a deal for Black Friday, Cyber Monday, or (perhaps?) Small Business Saturday? Don’t let all that marketing equity (built on someone else’s dime) go to waste. Be ready to join in the frenzy next year. Of course, you may not have the marketing clout – and budget – of American Express behind you like Small Business Saturday does, but with a bit of focus and a dash of creativity, you can make an impact in your own way. Think that’s not possible? Redpoint made a business-building opportunity out of mud for the New England Inns and Resorts Association. And if money can be made out of mud, surely it can be made out of anything. Yeah…sometimes, we PR people play dirty. Note: Lots of research was done to gather information for this blog post, but special thanks goes to Time and the Columbus Dispatch for their very clear and succinct historical articles on Black Friday and Cyber Monday. Extra virgin olive oil gelato, mud, and elk bugling: essentials for a PR toolbox. Who could walk by this board without at least looking at the first flavor? 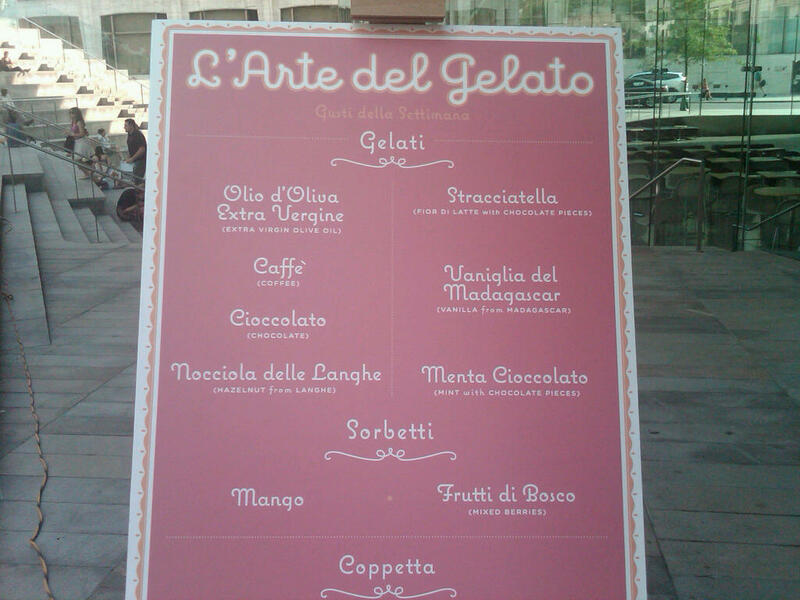 The sign next to the L’Arte del Gelato cart stopped me in my tracks. Extra virgin olive oil gelato? Really? While the thought of it didn’t actually make me salivate, anyone with a spirit of adventure (and Italian heritage in her DNA) would not pass up the chance to try this odd-sounding flavor. The verdict after a sample taste? Let’s just say that I won’t be forgoing hot fudge for olive oil any time soon. But that one little taste was all it took to seduce me into buying a cup of Madagascar vanilla – $3.25 for a tiny cup that became a memory in 3 minutes – and, while waiting, studying the flavor menu committed me to a return visit (who wouldn’t go back for Nocciola delle Langhe?). The moral here? When done tastefully (no pun intended), a little weirdness can be just the lure you need to cut through the clutter and grab people’s attention. When Redpoint launched Mud Season Packages for the New England Inns & Resorts Association, we heard from several member properties that consumers who inquired about the quirky mud experience usually converted to a more “traditional” package booking (but they booked). And when we created Elk Bugling packages for Gateway Canyons Resort, the same thing happened…media loved it and consumers were intrigued by it, but the increase in bookings had people rafting, biking, and horseback riding…NOT mastering the obscure art of elk bugling. Business owners and brand managers often resist creating a package, product, or service that they know isn’t really going to sell, but the PR value alone can achieve an enviable ROI just by drawing eyes (and click-thrus) to the brand. As long as it doesn’t cost too much to create, or require intense operational resources, a notably unusual offering can earn its keep just by luring in potential customers…and the rest is up to you. PR 101: “Spin” is free…6,000 red capes are not. And did we mention the graphic design fees? I would love to have been in the room (with a gong) when Workforce Central Florida decided that creating the cartoon character “Dr. Evil Unemployment” — and spending $14,000 on red satin superhero capes to hand out to the unemployed — was a fabulous idea. True, hindsight is always 20/20, but how on earth could they have not forseen the misery this PR stunt was going to unleash upon them? Unemployment is a serious issue that does not lend itself well to frivolity. Sure, some people who collect unemployment are just lazy slackers abusing the system. But for those people truly desperate to get a job…you’re looking at folks who are stressed out, struggling to feed their families, plagued by feeling unworthy, and seeking avenues to earn back their self respect. Are these people likely to don a red cape in the hopes of “vanquishing” Dr. Evil Unemployment and take a picture thusly attired for the website photo gallery? I think not. The PR lesson to be learned here? Do not use goofy, comical PR stunts to draw attention to grave issues…even when you’re the good guy who’s trying to solve them. 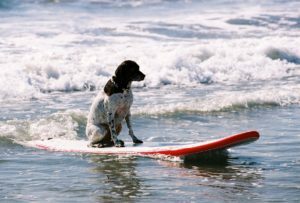 Now…if you’re a hotel company trying to showcase your fun side, and want to offer programs like, say…dogs cutting a record at a famous music studio in Nashville or learning to surf in San Diego…well, THAT’S ok. Even the Today Show would approve of that (click here to see the clip…and yes, Redpoint masterminded this crazy – but successful – program). But this doesn’t mean that serious issues like unemployment are off limits to PR people. They just need to be treated with respect. Take McDonald’s, for instance. They made headlines in early April by announcing their intention to hire 50,000 people in the U.S. on April 19th. Sounds amazing right? Well, guess what? They hire that many people every April anyway. But some enterprising PR person in the McD’s food chain looked at that statistic and said, “Hey! If we link this annual hiring spree to a specific day in April, we could probably get some positive press out of doing our part to reduce the unemployment rate!” And voila: they did. Brilliant. No cost, confessing to a little spin in their campaign (preventing the media from “exposing” it), and repackaging something they’re already doing to make it sound fresh and unique. I love it. Way to go, Mickey D’s. You’ve done my profession proud. Want a laugh? Check out more examples of crazy but successful PR campaigns – including the Instant Gourmet Kitchen, the launch of the Department of Romance, and Playing Dirty During Mud Season – at redpointspeaks.com/results/case-studies/. Being a publicist on Valentine’s Day is a decidedly unromantic job. Couples jumping over fire in Armenia for Tufenkian Heritage Hotels. Wife-carrying contests in Finland (the man wins the wife’s weight in beer…how romantic). Do Not Disturb packages at Hyatt Resorts, based on our survey that found that intimacy is the number one reason couples put that sign on their door. 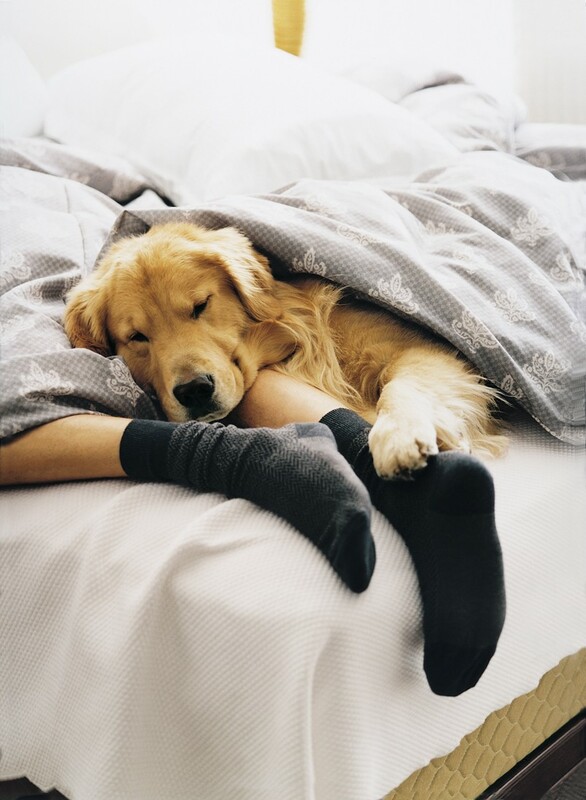 “Puppy Love” packages at Loews Hotels: who needs a man?…spend the holiday with your dog (cue cuddly visual below). See related post about dogs surfing at Loews…we publicists seem to do an equally good job of “exploiting” pets too. The lesson we learned here? Publicists – and marketers – simply don’t get to be seduced by the magic of this “Hallmark holiday” like normal people. We’ve peeked behind the curtain far too many times to swoon when romance knocks at our own door on Feb 14. 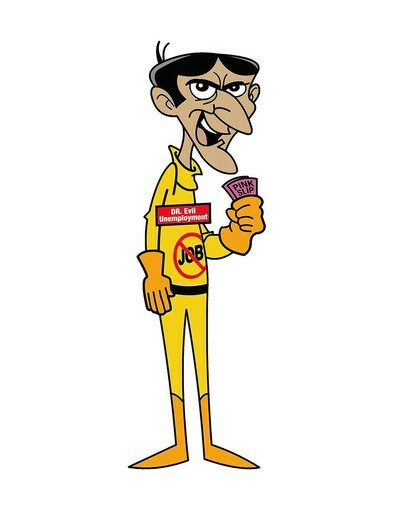 I mean, really…what can the poor guy do? We see a bouquet of flowers and we think: Couples’ flower arranging classes at The Crillion…intricate rose petal patterns on the bed that spell out Will You Marry Me at La Casa Que Canta…exotic flowers arranged in bento boxes for sushi lovers…etc. We see a box of chocolates and we think: sensual chocolate wrap spa treatments in Maui…a diamond ring hidden in a Godiva gift box…48 hours of chocolate in New England…etc. You get the idea. Please don’t judge us for it…it’s an occupational hazard. And truthfully, we’re all highly romantic and affectionate people here at Redpoint. Just not on Valentine’s Day. So this year, we’re going to declare February 15th “Love Your Publicist Day.” Feel free to send us flowers, chocolate, jewelry, mushy cards…any traditional Valentine’s Day gift you wish. Our romance-mercenary brains shut down for a while starting that day, so we’ll be quite receptive to anything you send. But don’t wait too long past that date…magazines have long lead times, so we’ll be flipping that mercenary switch back on around July, already thinking of the newest outlandish idea to exploit love for next year. It’s a tough job, but we do it because we ♥♥♥♥ our clients.